Chris and Kyle unpack another Netflix original animated series, only this time the Dads can actually watch it with the kids. 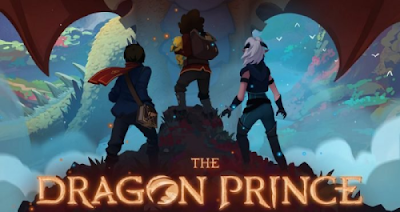 "The Dragon Prince" is created by Aaron Ehasz and Justin Richmond, directed by Villads Spangsberg and Giancarlo Volpe, and stars the voices of Jack DeSena, Paula Burrows, Sasha Rojen, and Jason Simpson. All nine episodes are available now on Netflix. Listen here or subscribe to the show on iTunes, Google Play, Stitcher, or wherever you get your podcasts.